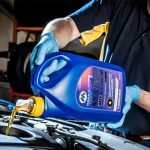 Morris Lubricants explains why it is so critical that you service a vehicle with the correct grade of oil, and details what the options are for independents who are in need of guidance. So, if you are not a main dealer with access to OEM service bulletins or dealer network databases, where do you go? There are options: the simplest of which is to consult the vehicle handbook. This will clearly state the viscosity grade of the oil – 5W-30, 5W-40, 5W-20, etc. – but more importantly the performance level required. Performance levels will be shown as ACEA (i.e. ACEA C3, ACEA C2, etc. ), API (i.e. API SN, API SN Plus, etc.) or as an OEM requirement (i.e. MB 229.51, BMW Longlife 04, etc.). Armed with this information, you can check if you have the right oil in stock or what you need to order from your local supplier. If a handbook isn’t available, you can seek online help or call a lubricant company technical advisor, who can give guidance on the vehicle you have sitting on the ramp. Online systems, such as Morris ‘What Oil?’ is vehicle registration number friendly and will provide lubricant details for that model, covering engine, transmission, differentials and other systems (suspension, cooling, etc.). Finally, of course, there is the option to call a technical advisor to talk through your requirements. This can be particularly useful if you have an ‘exotic’ model in the workshop or a vehicle that has been modified (maybe for motorsport). A technical advisor can provide the necessary guidance. In summary, as engine lubricant requirements are becoming more complex and specific, support is essential to ensuring your business gets it right first time.